Ahmed’s first book, The War on Freedom, was acclaimed around the world for its meticulous compilation of facts about 9/11. Published just a little over a half year after the attacks, it was the first book to document the inconsistencies and contradictions in the government’s official version of what happened. 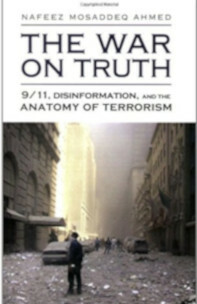 The ame analysis and information was built upon in this book, The War on Truth, with new material including analysis of the 9/11 Commission Report. First published by Olive Branch Press (US) in 2005.